I have some big plans for us this weekend. 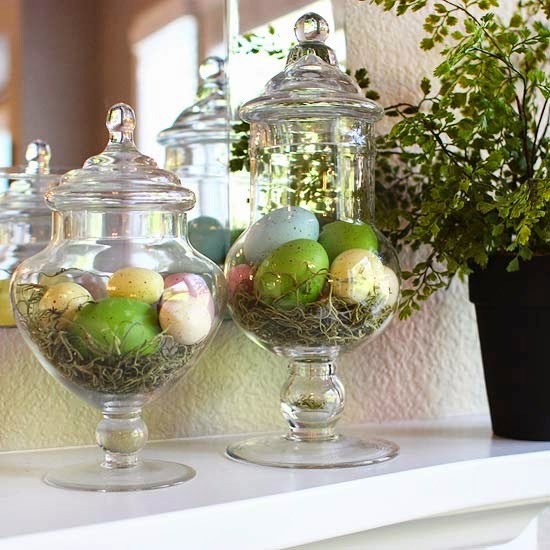 One of the things on our to-do list is pulling down the spring/Easter decor and decorating. This is the first spring/Easter we've been in this house so I need to see what will work and what I need to be in search of! I LOVE how she brought nature inside! 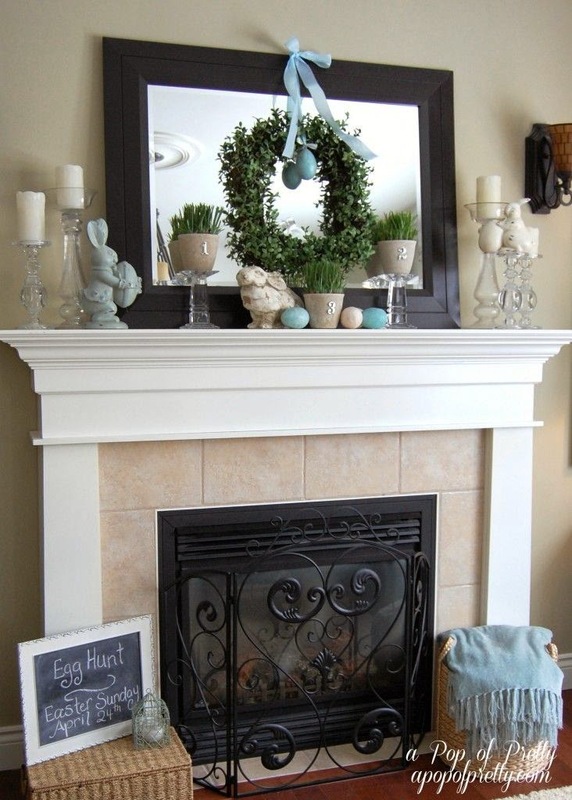 Doesn't this beautiful mantle SCREAM spring?? Isn't this table darling??? I need it all!! Using apothecary jars are such a cute and affordable way to change up your look for the holidays. These look fabulous! Gotta love Pottery Barn!! This looks SO good!! This blog has a DIY for painting, "HAPPY EASTER" on some eggs. I will be doing this!! Maybe Tab would pick me some cute branches daily so the flowers ALWAYS look fresh?? hahaha!! There is a LOT going on in this picture, but I wish I had every single piece of this in my house!! DARLING! 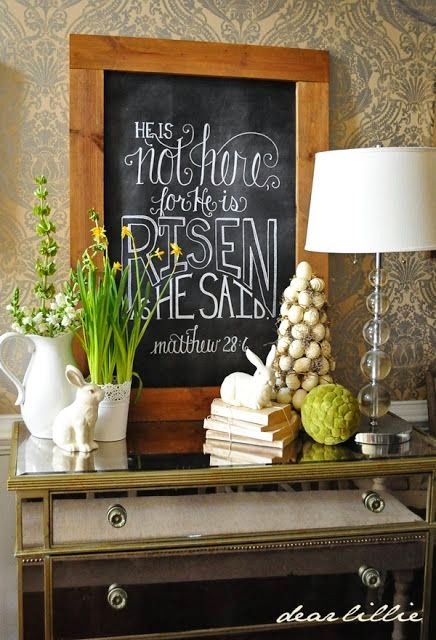 And...a little Easter chalkboard inspiration for us. I'm loving ALL those inspiration pictures!!! I have WORK TO DO!! 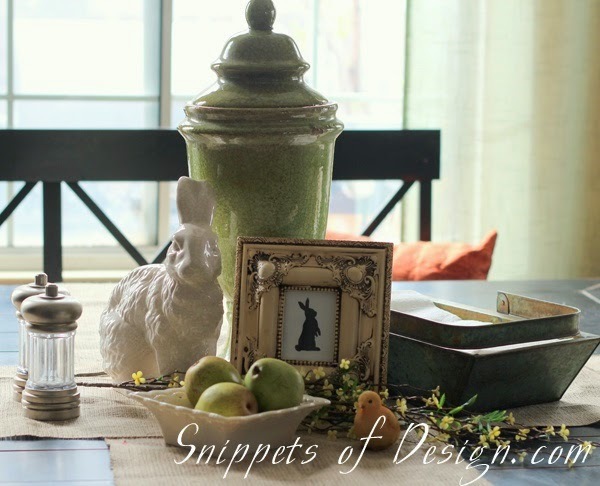 I am having such Easter decor envy! That all is precious! Can't wait to see the final product! 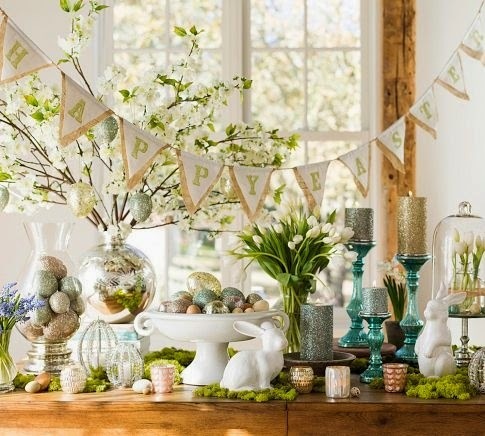 I love the second-to-last-one... the bright green color, the glittery eggs, and the "happy Easter" bunting! OK, I need that mantle. Mine is so boring right now and that is decorated just perfectly. 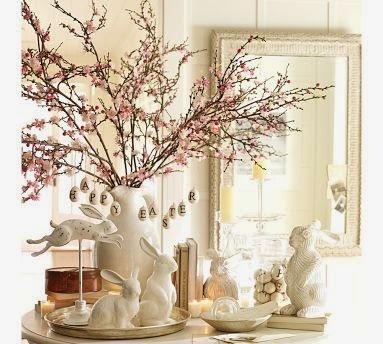 I always struggle with Easter decor but these are some great ideas that look elegant and not at all tacky. 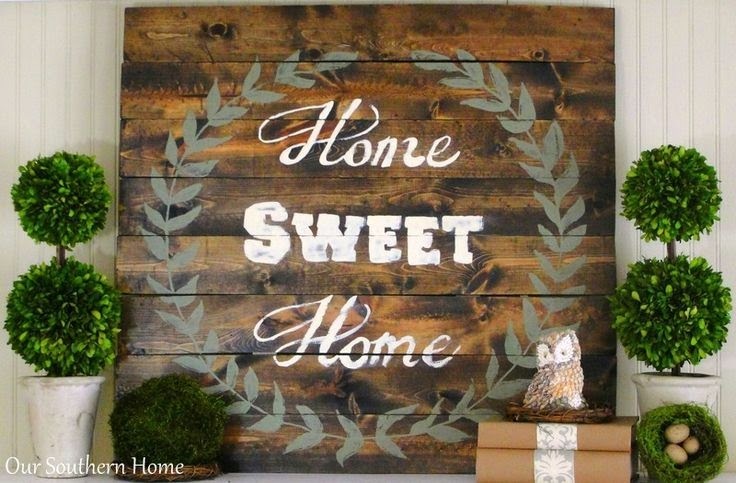 Great inspiration pictures, The chalkboard at the end is my favorite. 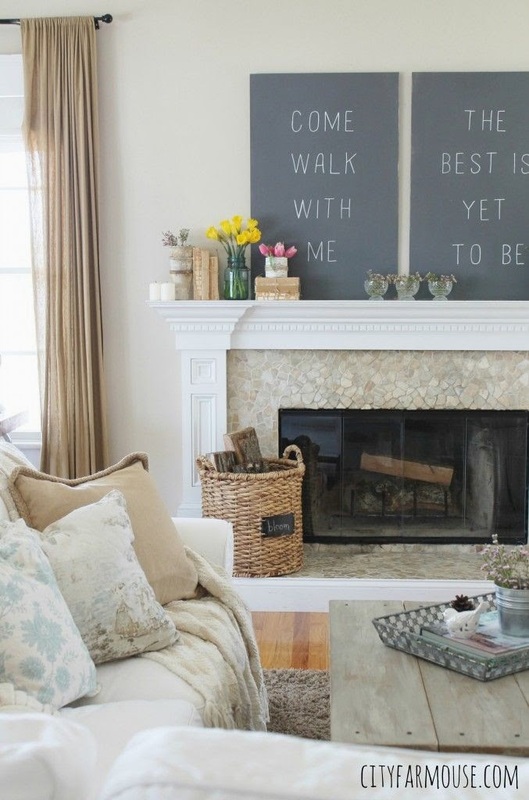 You ALMOST made me want to decorate for Spring. ALMOST.